Project managers have to assume a variety of roles over a project’s lifecycle. The efficiency effective administration of the tasks involved with the successful completion of the project can be enhanced with the help of the right technology. When utilized correctly, technology can help a project management team streamline their processes and improve communications between team members and the client. The key to the successful application of any new technology is dependent on the way in which it is implemented. Innovation is only as good as its application. There are many different technologies available that promise to help your project management run more effectively, however, very few of them have any true value as the systems can be overly complex and challenging to use, causing drops in productivity and frequent miscommunication. However, when tech does play its role well, it can revolutionize the way your team operates. A great example of this is the way the cloud has affected the operations of project managers around the globe. The cloud allows safe and secure on-demand access to project information from any mobile device, anywhere in the world. So, where do you start when you are looking for tools that can assist you in your tasks? 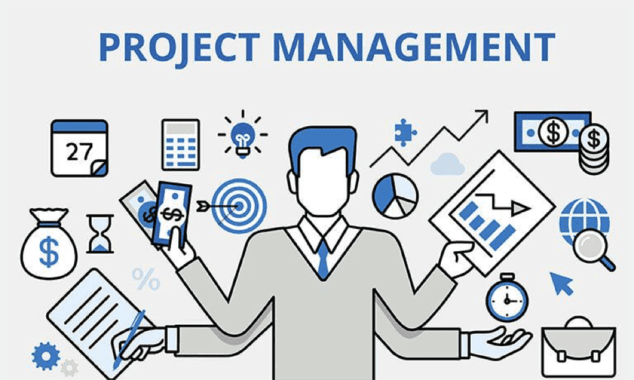 Here are some ideas for effective project management technologies that you can begin to implement in your business today. Do you remember using a fax machine? How about sending a courier to deliver documents? Email and video web-conferencing have all but replaced these archaic means of communication over the last decade. With the release of user-friendly digital communications such as Skype, businesses have been able to stay in touch regardless of location or time of the day. Project managers often need to be central communication points between their team and clients. Staying in constant contact is a critical part of successful coordination and execution. Communications software is absolutely indispensable for effective project management in today’s ever-evolving business climate. The safe and secure storage of critical business data has become more important than ever before. The internet has enabled higher levels of communications and data transfer through the use of high-speed fiber connections and cloud based storage systems such as drop box. However, as the rise of data continues, so does the threat of compromised online security. Hackers are developing viruses and malware that are specifically designed to bypass firewalls and other security features. Digital storage of data needs to be encrypted and managed correctly. Make sure that you take advantage of this important revolution in data management but ensure that all of your data is completely secure at all times. 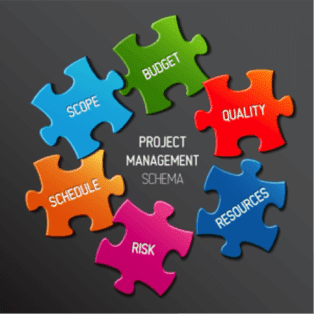 Effective project management is all about supplying as much relevant data as possible. 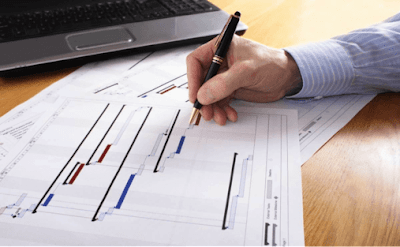 Diagram and charting software now allow project managers to create visual representations of projects by using flowcharts and other graphic descriptions of data. This powerful software can improve workflow, productivity and the accuracy of project deadlines. There are many different project management software applications that can be used to better manage your team and your business. These programs offer impressive tools that can assist with every aspect of your project. Cost estimation, scheduling, budget control, and all of your relevant documentation. These programs can be fully integrated into cloud storage systems where they are accessed by your team. You can expect a project management software solution to blend operations and communications with tools for file sharing, assigning tasks, setting deadlines and project milestones. Being an effective project manager means keeping up with your education in the sector. The power of the internet has allowed students and professionals to learn on their own time and at their own pace with project management professional certification available online from leading educators that teach recognized course material. Technology can greatly improve your project management efficiencies regarding the handling and processing of data, as well as critical communications between your team. Take a leap of faith into the digital era and implement a few of these tips on your next project. If you are concerned about adding extra costs to your project overheads, then consider the amount of time and energy it saves you and your team when making your final evaluation. You will find that the right tech, when implemented correctly, is well worth the money spent.